Goal: You moved from Kyoto to Osaka. 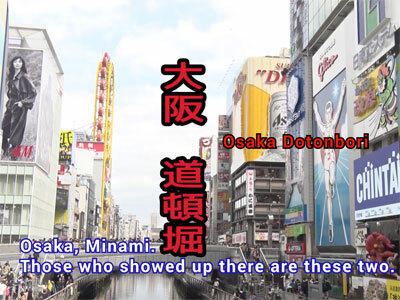 The two cities are nearby, but they are two very different places, as much as the clubs - Kyoto Sanga and Cerezo Osaka - are very different. 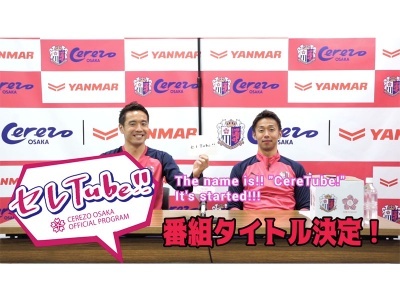 Jun Ando: Yes, Cerezo is now a popular club both in Japan and Asia and there are national team players. With Kyoto I played in the second division and we looked up to Cerezo as a very successful club. It is great that so many people come to watch us practise, a full stadium. There’s so much interest and passion from the supporters. G: Did you feel any pressure, or nerves, moving to such a popular club? JA: Well, with Kyoto Sanga we failed to get promoted to J1, so when I transferred to Cerezo I was not so much nervous as really looking forward to the chance of playing at the top level. G: You’ve played in packed stadiums - that was surely very different from last year at Kyoto Sanga in J2? JA: That’s for sure, not only compared to Kyoto Sanga and J2. In general we get the most spectators, it is very different from what I was used to. Even when we play away games, the stadiums are always full. G: What has been your best experience at Cerezo so far? JA: We haven’t had many good results, so it is hard for me to point out an achievement as a team. G: Did you enjoy watching the World Cup? JA: Of course, three of my team-mates were involved. It was a bitter experience for Japan, but I believe a lot can be learned from it. For Cerezo, it was great to think that we had three players good enough to feature in a World Cup. G: What about the experience in the Asian Champions League? JA: They were severe matches, a good experience. It’s so different from the J.League. The way Chinese teams play is very different from that of the Japanese teams. G: You’ve played an ACL game in Thailand as well. What are your memories of South-East Asia? JA: The Thunder Castle Stadium at Buriram was very cool, the atmosphere was great. The supporters were noisy and the level of the Thai players as well was very impressive. Football in our region is not only about Japan, Korea, China and Australia. In South-East Asia as well the level went up a lot. Source: "Cerezo's Ando relishes the big stage"